Daniel Kennedy, 54 (03.12.65) and Denise Blackburn, 45 (08.07.73), both of County Street, Southwark, SE1 were caught on camera as they carried out their crime at a phone shop in Heathrow Airport on 31 October 2018. CCTV footage captures Blackburn and Kennedy laughing and watching their intended targets – a couple who had just landed from Ghana - before seemingly discussing their plan. When their victims turn their backs to their luggage, Blackburn and Kennedy are seen to make their move. Police officers trawled through CCTV from inside and outside the airport to track the criminal duo’s movements, eventually identifying they had driven into the airport car park and back out after committing their crime. Police officers recovered from the address some of the victims’ money and jewellery, including an Armani watch which Blackburn was wearing at the time of arrest. 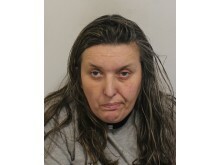 They also recovered a quantity of cannabis. Officers arrested Daniel Kennedy a week later. 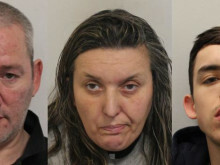 All three pleaded guilty to the offences against them at Isleworth Crown Court on Monday, 25 February. 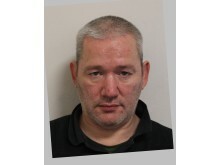 Daniel Kennedy was jailed for two years for theft, driving otherwise in accordance with a license and driving with no insurance. He is also disqualified from driving for 16 months. 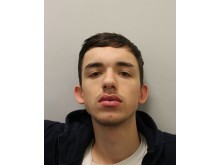 A suspended sentence of eight months’ imprisonment relating to a previous conviction has also been activated, meaning Daniel Kennedy will serve a total of two years, eight months. Ryan Kennedy 19, (07.09.99) of County Street, Southwark, SE1 was conditionally discharged for 12 months and has been disqualified from driving for a year, for driving while disqualified, driving with no insurance and possession of cannabis.